I have been missing in action over the last couple of weeks and that is because I have been getting ready to welcome house guests. We have been preparing our home for an extended stay of my granddaughter and her parents. They are trying on the East Coast to see if it might be a good fit. It is exciting times here, if even for a year... I am loving every minute. Stay tuned could there be a Timeless Cool grand-mère? 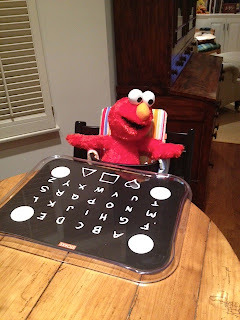 Elmo and I are working on it.